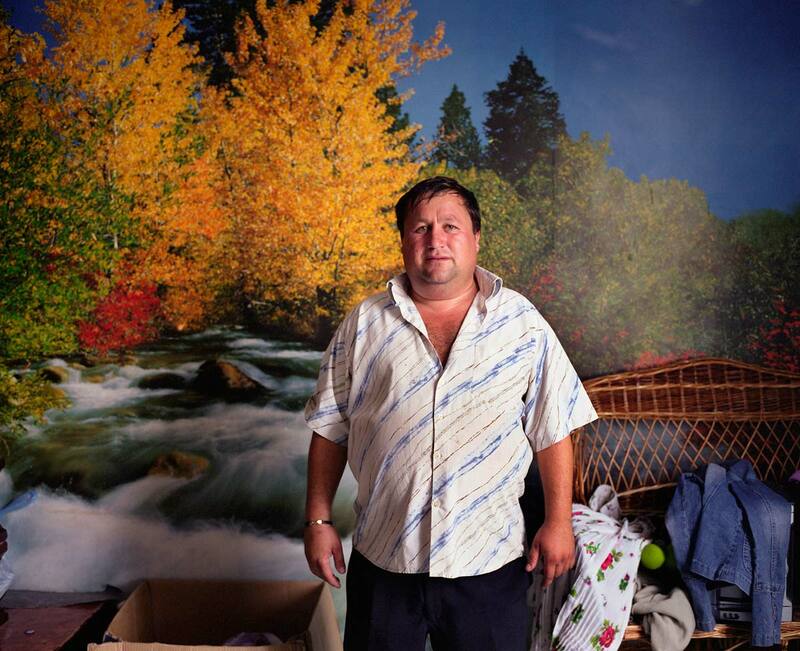 Toma Mihai in his house, in front of a wall mural, in the village of Sintesti, Romania, early August 2006. The Kalderari roma of Sintesti are by tradition metal workers, originally making alcohol stills, pots and pans, but now dealing in scrap metal. The large profits from their business have enabled them to build large houses in the village of Sintesti, 20km from Bucharest, and to invest in fast, Western brand name cars such as BMW's, Mercedes and Porsche.